“Start your engines!” This famous command has been cheering up American nation as well as millions of other motorsport fans around the world for almost 70 years. America has always been in love with speed, and this was also one of the main reasons why stock car racing was born. Ladies and gentlemen, welcome to NASCAR, one of the most popular spectator sports in the USA that has attracted more fans and TV viewers than any other sport on the globe – except football! NASCAR’s history origins go back to the Prohibition era, which banned the production, possession, transportation, and the sale of alcohol. People making their living from alcohol production modified their cars to boost their speed and thus overtake police when transporting moonshine, homemade whiskey. 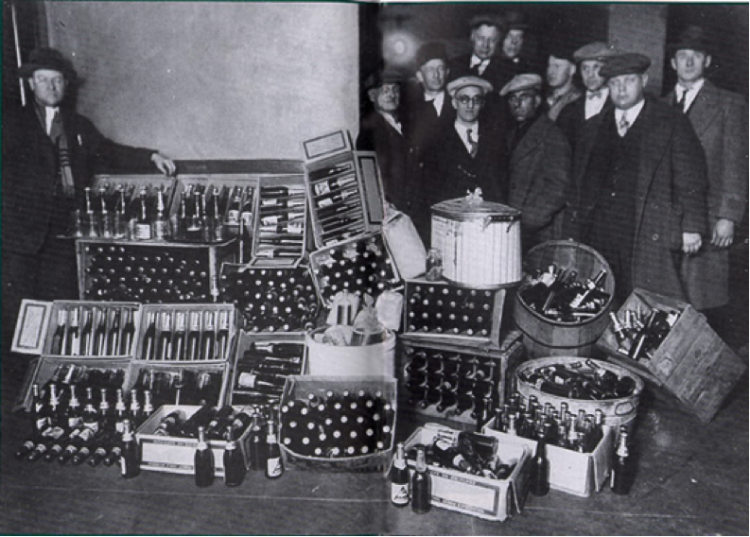 Trying to stay hidden from the public, the illegal moonshine smugglers, known as bootleggers, would transport moonshine at night. Bootleggers were mostly young men, passionate about fast driving. They started competing on dirt country roads at more than 120 mph. These informal contests later gave birth to the stock car racing. After the end of the Prohibition era, stock car racing grew in popularity but was unfortunately often controlled by crooked promoters that would often hit the road, leaving the winning drivers unpaid. In 1935, mechanic and car racing enthusiast William France Sr. moved to Daytona Beach to escape Great Depression. He was already well aware of the stock car racing that was at the time very disorganized and lacked rules. Close cooperation with outstanding drivers and promoters helped him later set rules, create a standard schedule and a series of organized championships. This resulted in the formation of NASCAR on Feb 21, 1948. NASCAR originally involved the Modified, Roadster and the Strictly Stock Divisions. The Roadster quickly proved unpopular and was abandoned while the Stock division was paralyzed due to the WW2. However, the first NASCAR race, which took place on June 19, 1949, was a Strictly Stock event, held at Charlotte Speedway. Almost no modifications were applied to the factory model cars in this race. Nonetheless, this changed over the decade due to the safety reasons. Shortly afterwards, plans were made to attract bigger crowds and organize even more spectacular races. As a result, NASCAR’s first modern race track was actually built near Darlington in 1950. 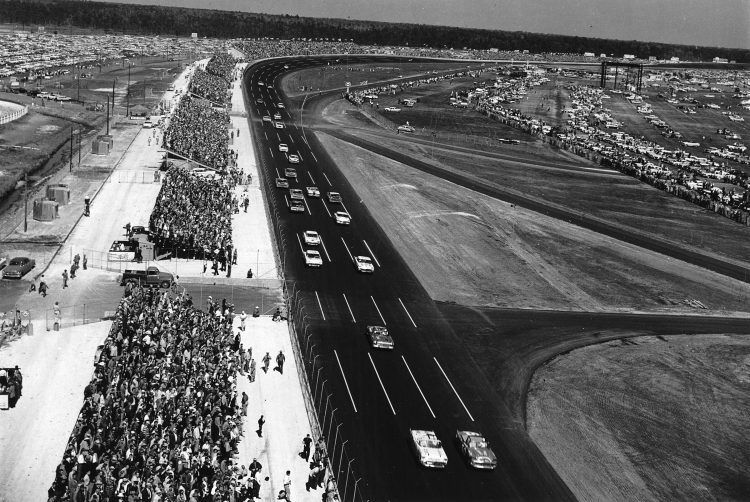 In September that year, Southern 500, NASCAR’s first 500-mile race, was held on the new raceway of the South Carolina. About a decade later, in 1959, the first speedway in Daytona was built by Bill France , Sr., and hosted the first Daytona 500, which is considered and has remained the most prestigious among events on NASCAR’s schedule. The first Daytona 500 was a very close competition. It actually lasted for 3 days – the time NASCAR officials needed before declaring the winner. The 1960s were marked by the opening of a number of tracks that have remained important until nowadays. These include speedways in Brooklyn, Dover, Delaware, Detroit, Michigan, Pocono and the speedway in Talladega, Alabama, built in 1969, which is considered the largest, the fastest and the most dangerous motorsport oval in the world. The next decade introduced many advances, including the sponsorship the Reynolds tobacco company offered to NASCAR. 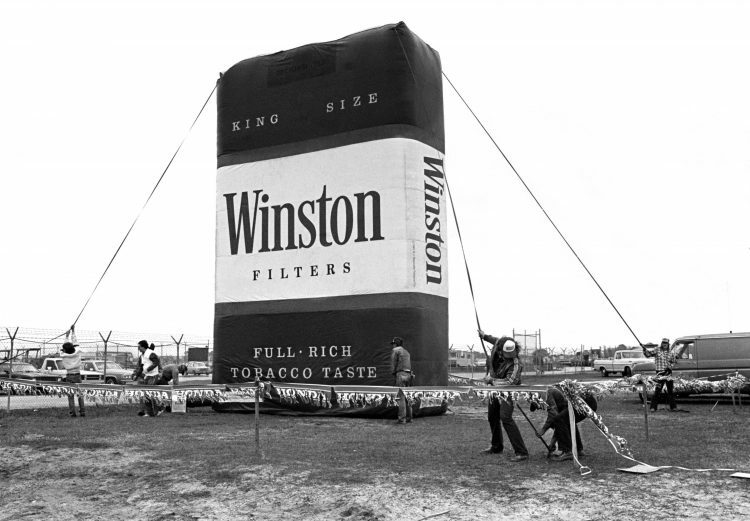 NASCAR’s Grand National Series were later named after Reynolds’ Winston cigarettes and became known as the Winston Cup. The idea of Reynolds Tobacco Company attracted the interest of many other corporations, like Kellog’s, that later on began to sponsor NASCAR. 1970’s also saw the first live broadcast of a 500-mile race (Daytona 500) on national TV. The event undeniably contributed to the increased number of fans and the growth of NASCAR’s television audience. In the same decade, more specifically in 1972, Bill France Sr. retired and named his son Bill Jr. the leader of NASCAR. In 1980’s and 1990’s, NASCAR continued to grow in popularity, and expanded to other regions beyond the South of the USA. In that period, New Hampshire Speedway and Indianapolis Motor Speedway, known as Brickyard, began hosting NASCAR. Also, the Brickyard 400, named after the speedway, was proved one of the most popular NASCAR’s races. Today, NASCAR offers a number of different series to its fans, including Monster Energy NASCAR Cup Series, Xfinity Series, Camping World Truck Series, Pinty’s Series, PEAK Mexico Series, Whelen Euro Series, Regional racing series and NASCAR iRacing.com Series. The most popular among fans and at the same time the most lucrative amongst NASCAR’s series remains the Cup Series that is currently known as The Monster Energy NASCAR Cup Series, sponsored by Monster Energy. In spite of its increasing popularity and spectacular races, NASCAR has been criticized for several reasons. Some people point out modern NASCAR vehicles have very little in common with the associated commercial models. Others criticize the dominance of France family that has remained involved in NASCAR’s policies, decision making and business structure. Another major problem includes fuel consumption, emission and pollution, which many feel should be additionally regulated. Despite its changes throughout the history, NASCAR is considered an originally American sporting event that went global and is still expanding. It remains widely-appealing among its fans that can associate with the cars, which still look a bit like the ones on everyone’s backyard. However, the main reason for NASCAR’S real success lies in the fact, once cited by Darrel Waltrip, American motorsport analyst, author and former racing driver: “If the lion didn’t bite the tamer every once in a while, it wouldn’t be exciting.” It is the danger and excitement that make drivers love to compete and fans watch them racing. CarLock, advanced real-time car tracking and alert system, monitors and alerts you on your phone when your vehicle is moved, when the engine starts, if unusual vibration is detected and even if the device is disconnected. Check if it works with your car!